Bible Cartoons: Continuing website cyber-problems! My website’s cyber-hiccups are still going strong, resulting in some of the images not being seen on the pages – sorry about that. Just as soon as we can figure out what to do to fix the problem, we will. 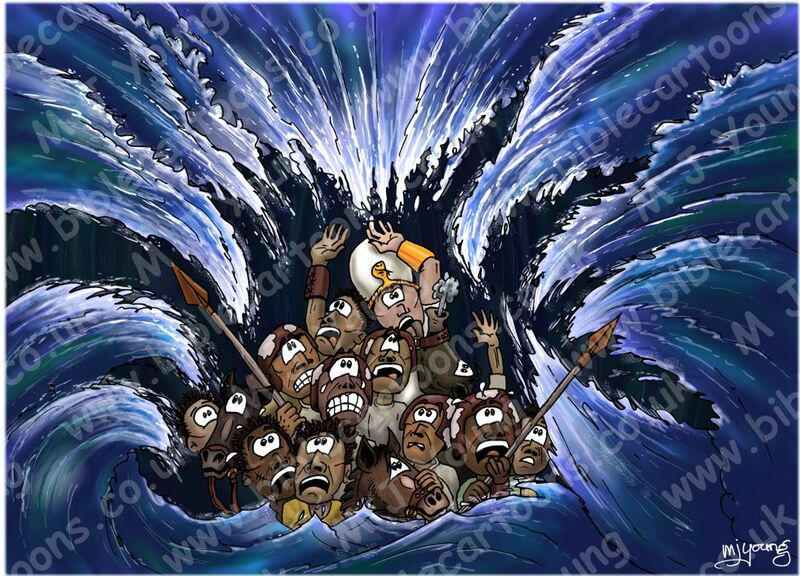 This week I am working on my last cartoon in the 14 cartoon “Parting of the Red Sea” series. I hope to finish the series today.